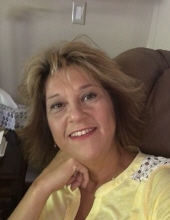 Kathy Sue "KatKat" Flint Southers, 51, of San Antonio, TX, passed away peacefully in her sleep on Tuesday, April 2, 2019. Born September 22, 1967 in Cleveland, OH, she was the daughter of James and Ruby Flint. Kathy was preceded in death by one sister, Kyrah Curry. Kathy was a wedding venue banquet captain, and loved spending time with her son, family, and precious Bucky. Those left to cherish her memory include her parents James and Ruby Flint of Whitman, her husband James Southers and one son Matthew Southers of TX, one brother Kelly (Regina) Flint of Whitman, one sister Kattie (Carl) Elkins of Holden, nephew Levi (Carrie) Curry, nieces Lacy and Kylie Curry, Sami (Chris) Adkins, nephews Littleman (Hilary and Kelena) Flint, Wesley (Kristin and Gavin) Flint, brother in law Mike (Nikki) Curry, uncle Rex (Betty) Flint, cousin Rexanna Brook, aunts Brenda (Willie) Wolford, Gail Stufft and Anna Elkins of OH, a favorite aunt Nancy Call, a special friend Mary Morris, and a host of other family and friends too numerous to count. Funeral services will be held on Wednesday, April 10, 2019. Visitation begins at 11:00am and the service will be held at 1:00pm at the #20 Whitman Church, with Rev. Joaquin Ooten officiating. Burial will follow in Highland Memory Gardens at Godby, WV. Pallbearers will be Mike Curry, Levi Curry, Carl Elkins, Jimmy Adams, and Codie Doss. In lieu of flowers, memorial contributions can be made directly to Honaker Funeral Home. To send flowers or a remembrance gift to the family of Kathy Kat Kat Southers, please visit our Tribute Store. "Email Address" would like to share the life celebration of Kathy Kat Kat Southers. Click on the "link" to go to share a favorite memory or leave a condolence message for the family.